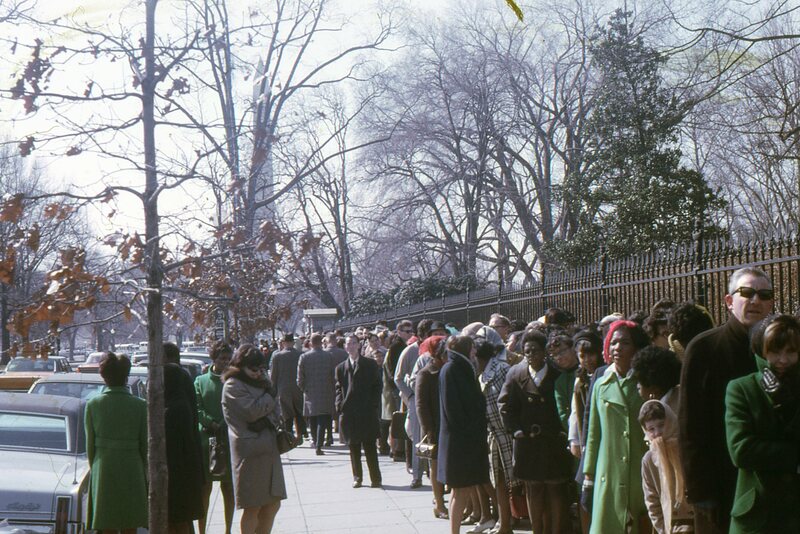 Back in the 1960s, instead of standing in line for hours for the latest movie, people stood in line for hours to get into the White House in Washington DC. Note that the Washington Monument is in the background. This was March 1969, so people are a bit bundled up because of the weather there. Richard Nixon would have been President for only a few months when this picture was taken.